Here is the times and dates for the big E# press events. Microsoft kicks off here in just 15 minutes which you will be able to watch right here on The Gamers Blog. If you would like to catch Microsoft’s and Sony’s press event, you can on their respective consoles. 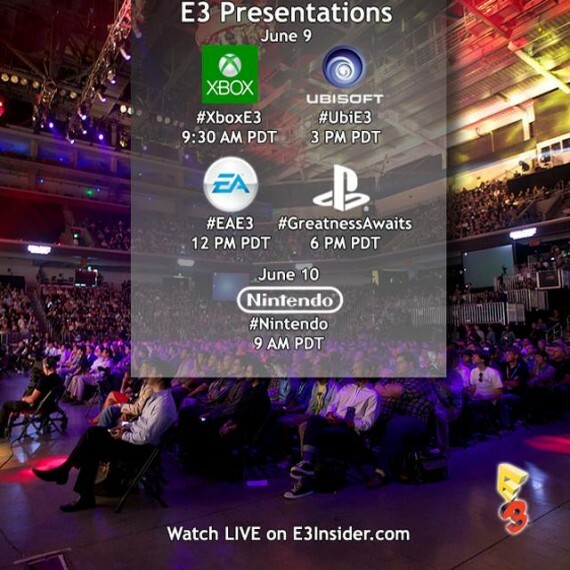 The Xbox Live Event Player and PS@E3 app are available to download and you can watch all the press events live. Hopefully we will see plenty of new titles and some very good reasons to own these new consoles this year. Hi there. I recently found your blog using yahoo. Now you have an extremely logically created content. I will be likely to book mark the idea in addition to revisit learn more of this useful information and facts. Was looking for article. I’ll surely gain.